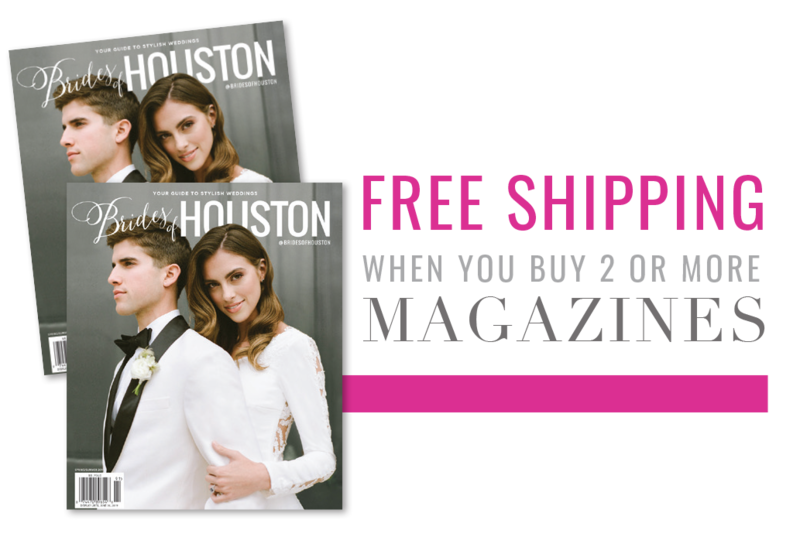 Beautiful bride Skylar is also an amazing wedding planner with Chancey Charm Weddings, so we knew her refined rustic Houston wedding would be simply stunning! 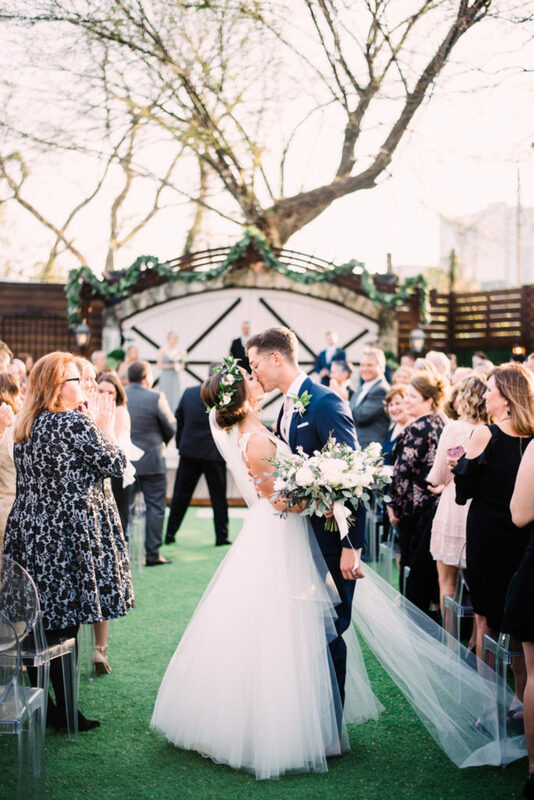 One of the most important parts of Skylar and Matt’s vision for their wedding day was a family style dinner, and the communal setting made for a relaxed and effortless celebration that the couple absolutely loved. Be sure and catch the wedding video by Reverent Wedding Films to see more from their joyful celebration! Skylar and Matt met while attending Auburn University. When she dropped by to see some of her high school friends, he saw her and thought she was out of his league. The pair ended up living in the same dorm, became fast friends and have been inseparable since. To propose, Matt worked out a grand plan with the help of a professor. They organized a fake awards ceremony that happened to take place during a stressful week for Skylar. Nearing a possible breakdown, Skylar traveled to the site of the ceremony with her parents – while her mother drove far too slow. Thinking they were late, she burst out of the car to be waved into a side entrance to the ceremony only to run into Matt. Surprised, she realized what was happening and Matt confirmed it. She emphatically said yes as her onlooking friends cheered nearby!